Are you a college student who needs a little bit of extra money? Sometimes, students can find a work-study position or other type of on-campus job, but those are sometimes few and far between, especially at colleges with large student bodies. If students haven’t found jobs on campus they like, it’s time to look elsewhere. 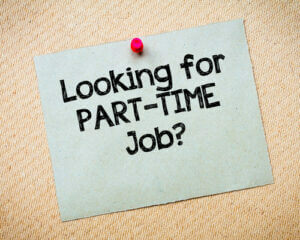 Fortunately, there are a number of great part-time jobs out there college students are ideally suited for. Here are six highly remunerative part-time jobs college students may be interested in. Charities are always looking for young people to help them out, especially in the fundraising department. This type of job often entails manning donation tables at various events, which means college students are going to be talking to a lot of people. They’ll need to be able to memorize facts about the charity and who it helps, be personable, and be able to smile and chat for hours. It’s not a job for introverts, but for those who are outgoing and want to gain experience working for nonprofits, it’s a great option. It also pays well—students can make up to $30/hour! Everyone is on some form of social media these days, but not everyone has mastered it. Some small business owners don’t even have time to really develop their social media because they’re so busy handling everything else, and they don’t have the money to hire someone full-time. However, many can budget money for a part-time social media assistant. If college students love Facebook, Twitter, and other platforms and don’t mind putting in the time to learn how to truly harness these sites for a business, then this is a great job for them. It can pay as much as $21/hour. If college students are peculiarly sharp in one particular subject area, they might want to offer their services as academic tutors to other students. Sometimes, these jobs are available through the university, but there’s nothing stopping them from doing private tutoring. Students will need to be sure they thoroughly understand the subject, and know how to explain it to others. They will be able to set their own rate and schedule, which is nice, but there’s no guarantee being a tutor will be steady work. Tutors make anything from $15 to $30 a tutoring session, but the rate and the length of each session has to be negotiated. Many websites, blogs, and online publications are in need of content, and while some do have writers on staff, many look to freelance writers for new content. College students can find a number of these jobs online, and many don’t require much experience in writing, as long as they can show them a few well-written sample articles. Their pay will be negotiated on a case-by-case basis. Sometimes, students will be paid per word, while other clients may want to set a flat rate per article. On the upside, they’ll be able to work when they want and can do so from home. Students’ duties may vary depending on where they work, but those listed are fairly common. Through the job, they may learn about various computer problems, organizational methods, and more. During off-job hours, students can easily stay connected with their customers via cloud phone systems. If they get office assistant jobs at a business in their fields, they may even be able to turn their part-time gigs into full-time jobs when they graduate. A guest services coordinator assists customers with all of their needs. They may do returns, help customers find products, or do special orders in a retail setting. 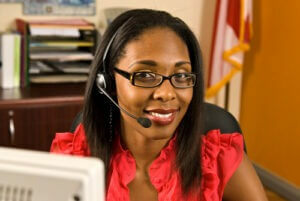 However, guest services can be found in many different industries. Some may actually do more office work, while others may work in support roles. No matter what industry students are working in, however, they’ll be dealing with customers, so this is another job in which being a people person is a must. It’s possible to make as much as $21 in one of these positions. Want to learn more about different jobs, visit College Recruiter’s blog and follow us on Facebook, LinkedIn, YouTube, and Twitter.